The D Activator™ Bridge has an enriched harmonic quality and the notes want to sing. Both the D Activator™ Neck and Bridge pickups were designed to eliminate the sterile edginess commonly associated with active pickups. 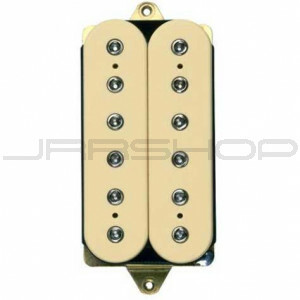 The D Activator™ Bridge pickup is about 25% louder than the D Activator™ Neck. Since we were developing both pickups as a set from the ground up, we adjusted the volume levels on the pickups so they are balanced. That way when you switch from the neck to the bridge, you don’t hear a drop in volume - also a frequent problem with active pickups. And they don’t use batteries.